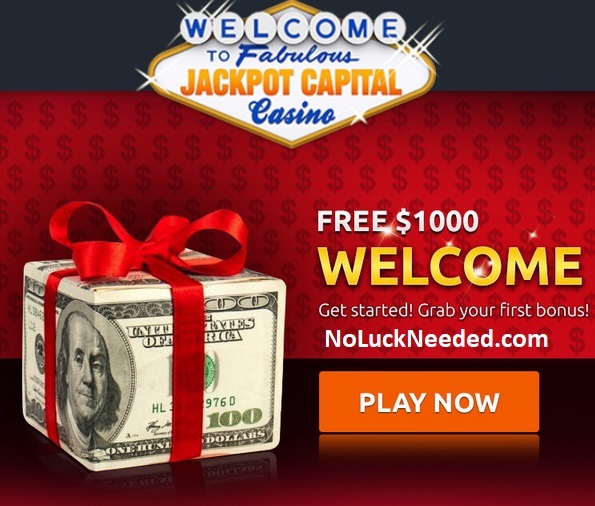 Jackpot Capital Casino Coupons 2018: 50 Free Spins for New Players from NoLuckNeeded.com! Make this your lucky day with 50 free spins at Jackpot Capital Casino! Register your new account and then redeem the coupon code NOL50 to claim your 50 free spins on the Samba Sunset slot game. You can also claim a 100% first deposit bonus and 100 extra free spins with the coupon code JCWELCOME. Good luck! $200 Maximum Cashout; 60x Free Spin Wins wagering requirement. Max bet rule applies. Claim Your 50 Free Spins and Welcome Bonus at Jackpot Capital Casino!